GUEST ARTICLE: Amateur Standouts To World Title Challengers Within 5-10 Fights – Too Much Too Soon? 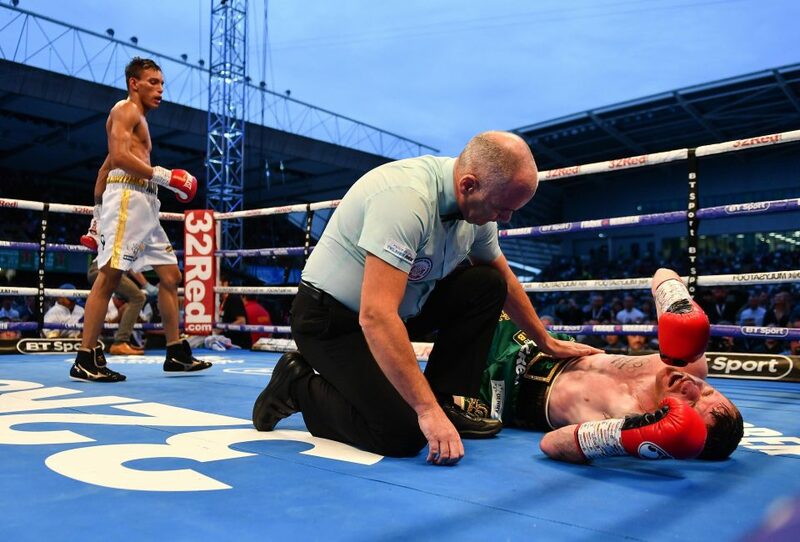 Saturday night in Belfast saw many whispers from the naysayers as Paddy Barnes first tilt at a World Title ended in heart-breaking and painful defeat at the hands of WBC Flyweight Champion, Cristofer Rosales. Barnes was competing in a World Title fight in only his sixth professional outing. Nicaraguan Rosales was considered as tough opposition for Barnes, but there for the taking according to some following defeats on these shores to Kal Yafai and Andrew Selby in the past. A powerful and painful Rosales body shot ended matters for Barnes in the fourth round, leading many armchair fans to ask was the Title shot far too soon for the likeable Belfast man. Barnes has been a man in a hurry since turning professional after appearing in three consecutive Olympics, earning Bronze in 2008 and 2012, but surprisingly failing to medal at the Rio 216 Games. The 31 year old turned professional in November the same year in his hometown of Belfast , and beat Stefan Slavchev of Bulgaria in his first contest, a messy affair bought to an end when Slavchev was disqualified for lifting Barnes up in the fourth of a scheduled six rounder. Two fights later, he was pitched in with Silvio Olteanu for the WBO European Title over ten rounds. Once judge scored the fight a draw, but Barnes emerged victorious by majority decision. Juan Hinostroza was outscored over six, before Barnes knocked out the then 21-6-3 Eliecer Quezada in the sixth round of a scheduled ten. This somehow set up a shot at the WBC Title, where he ultimately came up short, not disgracing himself at all in the process. The problem, as Barnes alluded to himself pre-fight, is that decorated amateur boxers have already honed their craft competing at the very highest level in the unpaid ranks, so to be expected to knock over 10-20 journeymen and learn nothing in the process in the professional game is pointless, and a time wasting exercise. The preference is to be fast tracked. The symmetry with Barnes, and his Olympic counterparts is evident, especially compared to the double Olympic Champion, and breakout pound for pound superstar that is Vasyl Lomachenko, and China’s Zou Shiming. Lomachenko was a sublime amateur, capturing Gold Medals at the 2008 and 2012 Olympics, as well as racking up a quite astonishing reported 396-1 record in the unpaid code. This was expected to transfer to the paid ranks, and, in an unprecedented move, Lomachenko’s professional debut was unbelievably a ten rounder for the WBO International Featherweight Title, in which he would build a ranking high enough to be considered for a World Title shot should he win. And win he did, stopping Jose Ramirez in four rounds, which would prime him for a shot at the rugged Mexican, Orlando Salido, the WBO Featherweight Champion. It would be a fight where the certainty had to be on Lomachenko winning and making history. But alarm bells started to ring at the weigh in, with Salido surrendering his belt on the scales after coming in a whopping 2 and a quarter pounds over the Featherweight limit. This was a distinct advantage for Salido, and by fight night, he had bulked up to be a full 11 pounds heavier than the Ukrainian. Ultimately, this won the day for Salido, bullying, fouling and using his professional know how to score a split decision victory. Since this reverse Lomachenko has obviously gone from strength to strength and is a three weight World Champion, and riding high in the mythical pound for pound rankings, so his defeat obviously did him the world of good. Zou Shiming is China’s most successful Boxer of all time. 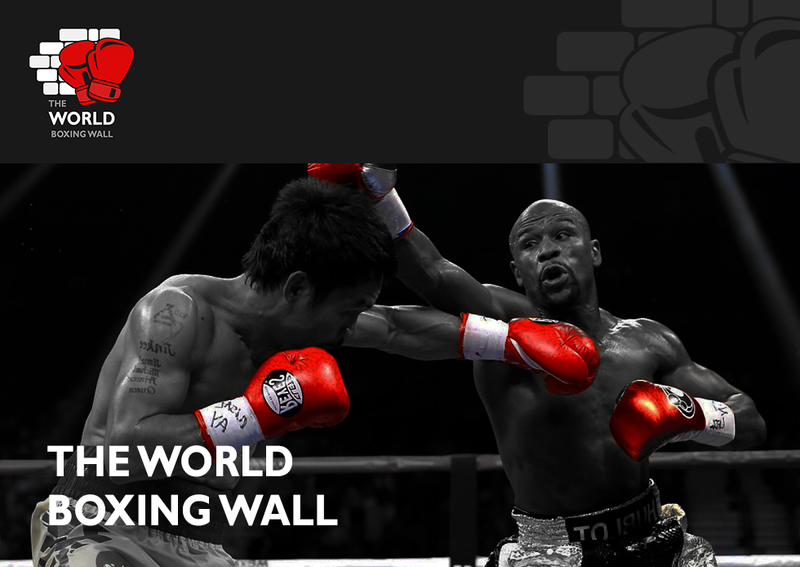 He won Bronze at the 2004 Olympics in Athens, and then backed this up by striking Gold at his home games in 2008 in Beijing, and the defended his Light Flyweight Crown at the London 2012 games. Add to this his three World Championship triumphs, and you have an Amateur megastar. The clamour for Shiming’s signature was great. Eventually Bob Arum and his Top Rank outfit won the day, and Shiming was also matched with legendary trainer, Freddie Roach. Shiming made his professional bow in April 2013, aged 32, shutting out Eleazar Valenzuela over four rounds in Macau, China. After two wins stepping up to the six round distance, Shiming scored a first knockout win by beating Yokthong Kokietgym in the seventh round of his first eight rounder in February 2014. The ten round distance would be next for Shiming’s fifth fight, and he picked up the WBO International Flyweight Title with a wide points win over Luis De La Rosa. Championship distance was next and Prasitsak Phaprom was unanimously outscored as Shiming did the full twelve rounds for the first time in only his sixth paid contest. Naturally the demand for a World Title was big, and Shiming would meet Amnat Ruenroeng for the IBF Flyweight Title at the Cotai Arena, Macau, where all of his fights to date had taken place. Although Ruenroeng was 14-0 going into the contest, Shiming’s class and amateur experience was expected to tell, and he was a heavy favourite to dethrone the Champion. Shiming floored the Thai in the second round, but that was as good as it would get for him, as he was handily outpointed and controlled for the rest of the contest, and he slipped to his first professional defeat. After two routine wins in Shanghai and New York, Shiming received a shot at the vacant WBO Flyweight Title. In his way would be old foe Prasitsak Phaprom. Shiming was emphatic in claiming a first World Title in Las Vegas, knocking Phaprom down in the second, before going on to dominate, winning 120-107 on two cards, and 119-108 on the third. If this was the start of something special for the Chinese fighter, he was shockingly mistaken. it was announced that Shiming would make a voluntary defence of his WBO title against a Japanese fighter with a modest record in Sho Kimura in July 2017 in Shaghai. Shiming had parted ways with Bob Arum and decided to promote the fight himself. He also decided not to train with his hall of fame trainer Freddie Roach. In a shocking upset, Kimura, who was behind on two scorecards at the start of round 11, knocked Shiming out to rip away his Title in the first defence. Shiming dropped to the ground after a flurry of punches. He failed to get up, but referee didn’t count him out, calling off the fight. Shiming’s record now stands at a modest 9-2, but pivotally, he has been unable to continue his career since the Kimura defeat over worries on a detached retina. This is very likely to cut short his career with age not on his side. My thought on the transition from amateur to professional is simple. I believe there is no substitute for doing things the traditional way. In Britain especially, a Commonwealth Title is a good starting point, with stiff opposition then expected at British and European level. These belts are still prestigious, and there are good learning fights to be had. Fast tracking has its pros and cons, and the pitfalls are huge. Too many losses too soon could see the end of a career that should have been hall of fame worthy taking amateur pedigree into account. I’ve no doubt Paddy Barnes can come again, but he should consider the road often travelled, and rebuild slowly, so when the time is right, he is fully ready to challenge again for World honours.